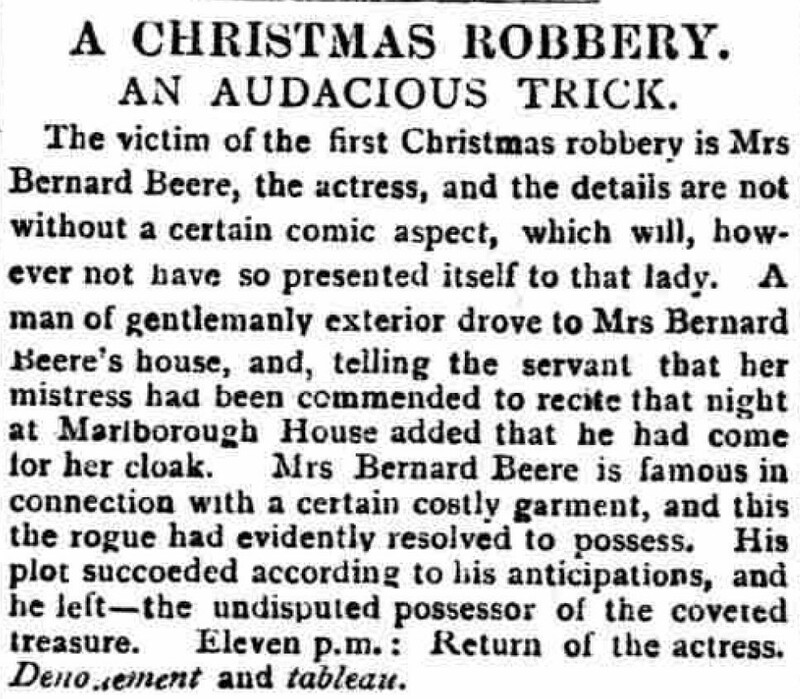 Five excruciating examples from our newspaper archive that prove that Christmas past really was an accident waiting to happen. OK, this one is probably just as common nowadays, but you'll find multiple examples of death by Christmas dinner in our newspapers. Be careful on those Brussels sprouts this year! 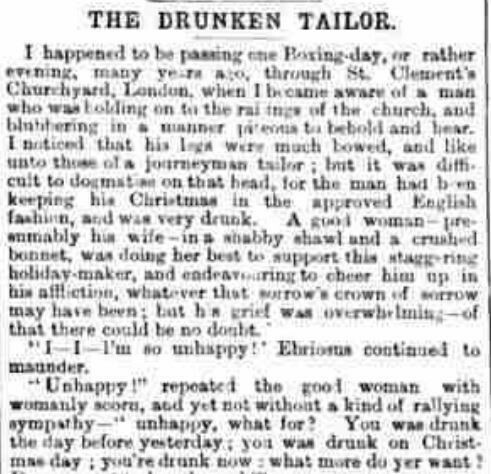 Tamworth Herald, 30 December 1893Image © THE BRITISH LIBRARY BOARD. ALL RIGHTS RESERVED. With all the extra seasonal spending taking place during the holidays it's no wonder cunning thieves would take advantage. Judging by the below story from the Shields Daily Gazette they were quite creative about it too. Shields Daily Gazette, 27 December 1887Image © THE BRITISH LIBRARY BOARD. ALL RIGHTS RESERVED. Christmas trees were traditionally adorned with open flame candles - an instant recipe for disaster. 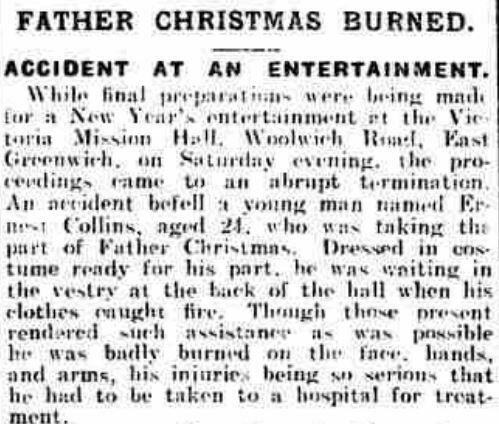 Search for 'Christmas tree fire' in our newspaper collection and you'll find hundreds of similar unfortunate tales. 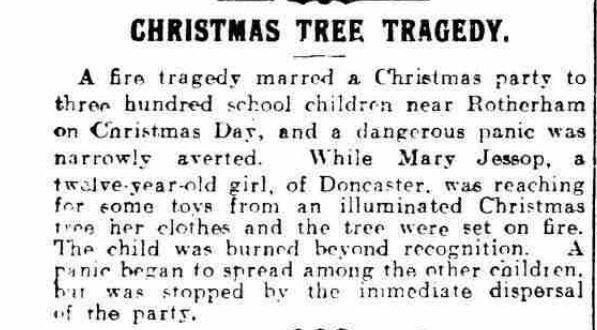 Hull Daily Mail, 26 December 1917Image © Local World Limited/Trinity Mirror. Image created courtesy of THE BRITISH LIBRARY BOARD. Another tradition that still prevails today, stories of overindulgence at Christmas are rife in our newspapers. They range from hilarious to harrowing but it's always fascinating to find out what a drunken ancestor got up to. The Enniscorthy News, and County of Wexford Advertiser, 31 December 1870Image © THE BRITISH LIBRARY BOARD. ALL RIGHTS RESERVED. Father Christmas seemed to be particularly prone to mishaps in the olden days. Take this accident at a New Year's gathering for example. 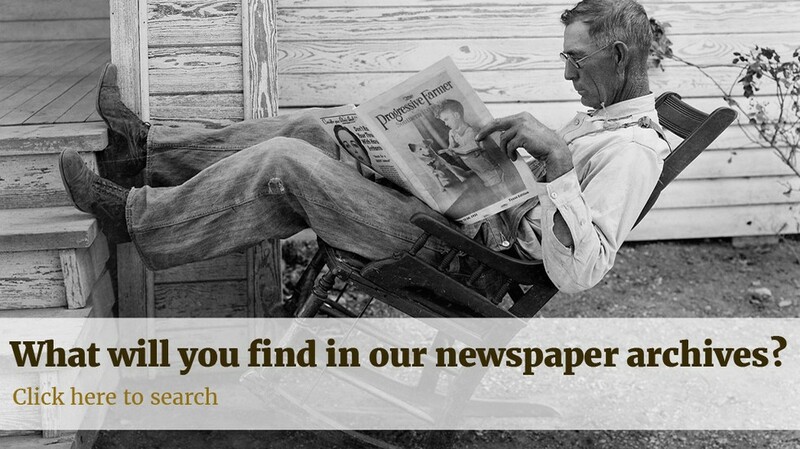 You'll find countless others in our newspapers.